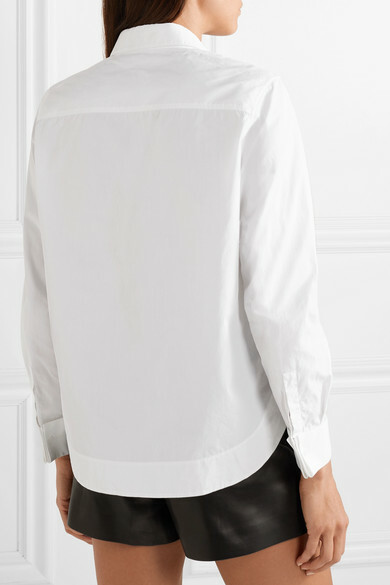 A classic white shirt is probably the hardest working piece in your wardrobe, so it's important to choose one that fits perfectly, making Alaïa's version a worthy investment. 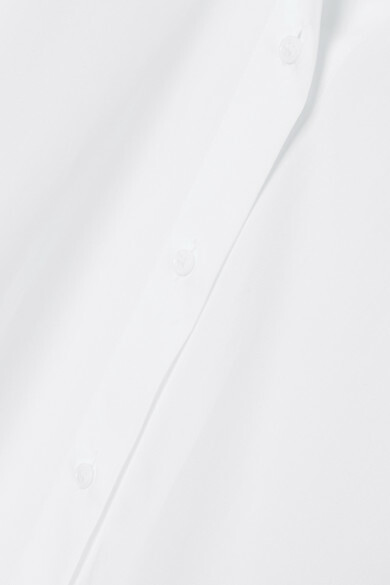 It has been precisely tailored in Italy from crisp cotton-poplin with a slightly longer back hem that can either be tucked in or draped loose over pants. The styling opportunities are endless, so try teaming yours with jeans or one of the label's embellished skirts when you aren't wearing it to the office. Shown here with: Alaïa Shorts, Alaïa Shoulder Bag, Alaïa Sandals.